In this age of digital eBooks, you have limitless options when it comes to any aspect of reading. You have multiple eBook readers, converters, editors and such. However, within all these, the basic text editors sometimes get lost. Although you won’t find many text editors these days, doing the task of bringing out text, they do exist. The most classic example is Notepads, MS Word, and the recent Apple product, by name Pages. The text editors give you all the freedom and control over the content you are looking to bring out and also help you visualize the project. You can type in novels, manuscripts, projects and much more within these editors and still get the best quality within. To make the best ebook to come out, you need the best textual input. These text editors give you that edge over content creation and export. Apple company feeling the need of bringing out an exclusive product suite came out with iWork suite for Mac and iOS. Til then, if you are an Apple user, you had to depend on third party tools to work for you. You had Microsoft offering its word document, where you could type in the content. Or if you felt like using other tools, you could perhaps go for eText editors like Sigil, Calibre or Scrivener. However, you had no Apple options to make a book editor which works for it best. The history of Apple pages goes back to 2005. On January 11, 2005, Apple announced the first version of Pages. You could get the first version of this within a month of the announcement. Apple pages had a major upgrade with some additional version almost every year. You just had to register yourself in the Apple iTunes store, and you would get the updates as and when they come out. The most recent version of Pages, you can get from the market is ‘Pages 5’, which was released in October 2013. This version came right after Version 4 which Apple got out to the market the before year, in 2009. You could see that most of the version which the company got was for the PC systems. Although this helped the cause of eBook readers on PC, it didn’t serve much when it came to other devices. This was one field of concern which Apple had still to answer. However, it didn’t take much time before Apple came out with Pages for its tablet device, iPad, with a touch interface for the first time. By 2011, You could update the iOS version of Pages as well. This upgrade brought in binaries allowing the app to be run on iPad, iPhone and iPod touch. All was well up to a point, but then came the digital revolution. And we are talking about how suddenly the whole world economy started moving toward cloud computing. With cloud computing, you could save your data, user preferences, account details and more, within remote servers and save them in your cloud. You can get cloud storages from providers like Amazon, Google Drive, DropBox and also Apple iCloud. With these cloud accounts going for you, you never lose out on your data, preferences, and work across devices. The classic example of this is Google Docs which allows you to edit your data where ever you are. Also, Kindle whispers sync which loads up your books whenever and wherever they log in to their account. Apple, therefore, forayed into providing cloud services for the users. Of course, you could get the facility to your Apple Pages within a short time.On October 12, 2011, Apple brought an update to the iOS app to the next version, being version 1.5, with the iCloud feature in it. Now you could type, edit and save your text format files onto the cloud, and never again worry about losing out on any. Even when the files were accidentally deleted, you could still recover them from your iCloud account. Apple came out new versions of Pages software regularly so as to bring the latest innovations to the table. By 2012, Apple had already brought out, touch-based editing through the program. As we saw, you also had the features such as Exports, iCloud sync and Format compatibility, as well. However, Apple did not rest till it brought out the version 1.6, which will now run only on iOS versions 5.1 or later only. Pages for OS X was updated to version 4.3 on December 4, 2012, to support Pages 1.7 for iOS which was released on the same day. The main advantage that you had with versions 1.7.2, was perhaps just adding improvements and bugfixes. You could get this version onto your system on or after March 7, 2013. Until this point, Apple allowed users to come work with Pages software, with a small trial version and later a buying fee. However, this scene changed quickly, as post-2013, you could get the Pages 5th version to work with iOS, for free. Now, anyone who wanted to go for the Apple software for documenting information, could go ahead and use Pages easily. Apple came out with Pages as an easy-to-use application which allowed you to create documents within their devices quickly. When we say devices, the tool works well on desktop MACs, Apple iPads, and iOS smartphones. In addition to being a great text document, Apple also gave out a number of designed templates comprising different themes. As with Word program, you could find themes for letters, resumes, posters and outline. All these and more come along with Pages software. With a version 4.3, you got many advanced features within the Pages app. The most notable among them were Mail merge, Text Box Linking, Advanced Left-Right Margins which came along with left-right headers and footers. Now, in addition to this, a two-way page spread viewing, is also available within the app for your use. However, when you look at the latest version, (version 5), you will see that the robust features of Applescript support are not included in this version. You will also see that many of the templates available in version 4.3 have been removed in version 5. However, you can still find the templates on other locations. For example, there’s a free screenplay template for Apple Pages which you can find according to Final drafts Cole and Hage standard. Apple Pages is a part of a whole productivity suite called iWork along with both Keynote and Numbers. By most users, this software is recognised for its user-friendly, intuitive interface. The first thing that a user will see whenever he opens a blank document with the pre-designed template. The templates which you will get usually are basic, report, letter, resume, envelope, business card, flyers & posters, cards. Also, you will find miscellaneous and a newsletter section of templates. Further, these templates contain placeholder text, images, and media, which can be replaced by using the media browser you can access. With every new document, you will get one-click access to commonly used document tools. With One-click access and shortcuts, you can get to the most important tasks in simple steps. 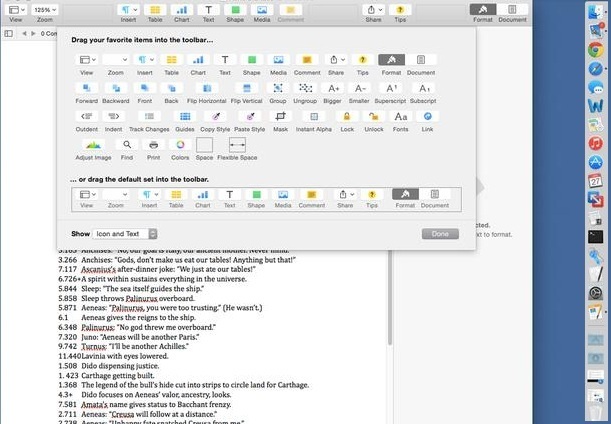 You can find the shortcut to upload your projects to iWork.com, and also adding more pages. You may also use one-click formatting of text and adjustments to images within the new window. Also, when you select the text, the format bar enables you to choose fonts, text sizes, and colours. You can make the text to appear more relevant and polished with alignment tools. The inbuilt formatting tools allow you to do so. On clicking the format bar tools, you get the options to adjust the opacity, show and hide shadow and reflection effects. You may also mask the image properties if needed. A separate inspector window provides you with almost all formatting options within the space. This is so because you can still edit and formatting tools, without disturbing the crux of the text. The open elements within the document are also available for editing within the window. With the later versions of word processor coming to the fore, you had the options to go beyond just typing in. 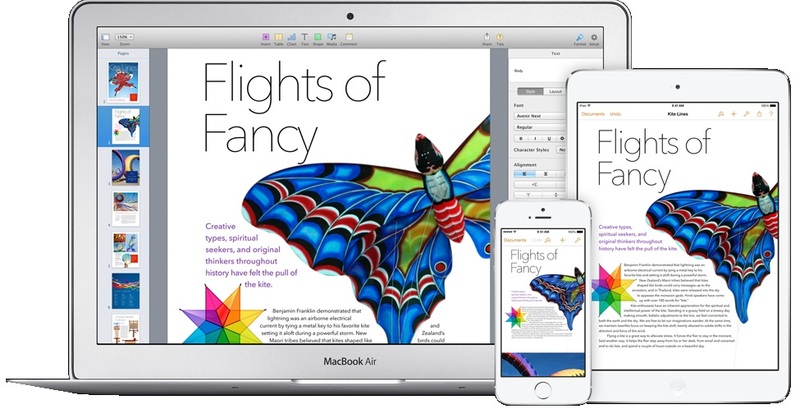 Starting with iWork ’08, word processing and page layout were published as two distinct modes. These allow you to enter and edit textual content in different ways altogether. In word processing modes, Pages support headers and footers, footnotes, and outline and list creation. This allows you to collaborate with other users in editing the document. Think of it as a collaborative project, where a group of people is working on the same document. Furthermore, the changes got in by any one of the participants can be seen by all those involved in the project. You may see this feature if you are some who uses Online document writers like Google Docs, called comments. Come to think of it; you can find comments feature in MS-Word as well. Users can add comments alongside the document. On the contrary, the page layout mode gives you direct control over the elements. In this mode, you can control the way your documents work, and more importantly, how they look. You can edit, drag and drop position of objects on the page. Now you can place text content and images anywhere on the page. In the recent versions of the application, you will see that most of the advanced writing tools have been done away with. You no longer find them in the current version. In the full-screen mode, you won’t see the menubar and toolbars, which allows you to focus on a single document without getting disturbed by any other windows. In previous versions or earlier ones, we used to have populated custom fields with contact data from Address book or Numbers to create personalised documents.You didn’t have to enter these details manually. And therein lay the advantage of databases. Well, this changed easily within the next few years. Back in the earlier versions, you could usually send a mail to three different people easily. You could take the help of Mail merge to do so. However, this feature was removed from the versions 5. In addition to this, Tables and charts pasted from numbers which are automatically updated if the original spreadsheet is changed. You can now import Microsoft Word documents (including Word 2007’s Office Open XML format) into Pages. Pages with version 4 and earlier, can also import AppleWorks word processing documents. Further, you can export the documents to Rich Text format. However, those features have been removed in future versions. 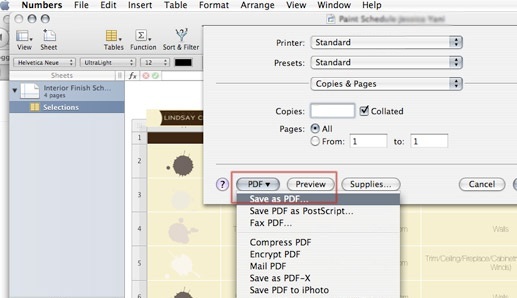 Pages 5 can still export to PDF, EPUB and Microsoft Word DOC formats. You can also write simple and complex mathematical equations for a Pages document with MacOS’s Grapher, offering similar capabilities to Microsoft Equation Editor. It also provides 2D and 3D rendering tools only the Grapher tool can use. As of January 2015, Pages does not support OpenDocument file format. You will find that the only other known software tool which helps and opens the files are Google Docs viewer, LibreOffice or Jumpshare. Additionally, Google Docs can view the files, and save them as PDF via the Print function, but not edit them. Although, Jumpshare can view the files. In the past, we have seen Windows open up its doors to get and give Softwares between the platforms. More noticeable this happened when Windows opened its program of Apple products. This was done despite providing users with its office suite, under MS Office. Apple’s suite of office skills is called iWorks. iWorks usually comprises of Documents. Spreadsheets and of course Presentation. Apple counterparts for the same are Apple Pages, Numbers and Keynotes respectively. As a user, you can find the whole package available for Windows now. This package is usable by anyone with an Apple ID. That includes those of us who do not own any Apple products because we can all go to Apple’s website and create an Apple ID. The process of getting the Apple work suite to work for you is simple. You just have to log in with your Apple ID. his process works just like it does on OneDrive. You log in and can then create and edit documents you have in cloud storage using your web browser as the interface. The big difference between Apple’s offering for iCloud and that of Microsoft’s OneDrive, besides the programs themselves, is iCloud only offers users 5GB of free storage compared to OneDrive’s 15GB of no cost storage. Once you have Apple ID just sign in to the iCloud Beta site. If you are already using iCloud or an iDevice, then you will likely not get prompted to upgrade your account to iCloud Drive. For all of us Windows based users then you must go through the upgrade process. Apple’s Pages is perfectly acceptable as a word processor on the Mac. But most people use Microsoft Office, and iWork isn’t even available for Windows. So if you have an iWork document, and you or someone else needs to open it in Microsoft Office, you’ll have to convert it first. There are two ways to do this: through iWork itself, or through iCloud. Let’s first discuss the iWork way for those users who own Macs. This works when we use Pages as an example. 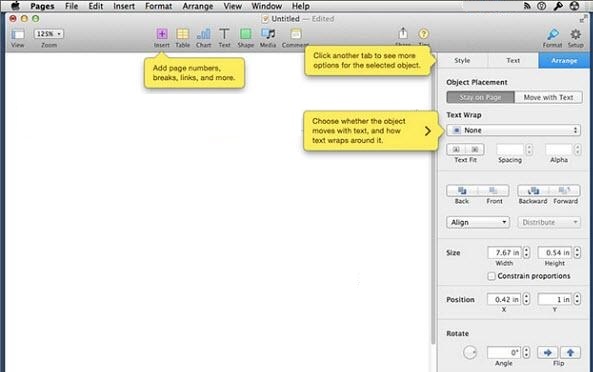 However, you don’t have to worry as this method should work for any iWork document: Pages, Numbers, or Keynote. The method is simple and can be done in quick and easy steps. If you’re a Mac user writing in Pages, you should convert your documents to a compatible format before sending it to a Windows user. For doing so, you will need to save the output file which you are ready with, in the Word format. What this means is that you can export the file while saving the text file. In export options, click on ‘Export To’ Word. This option automatically comes out when you have word installed in it. However, if you don’t have Word installed, you don’t have to worry at all. You can still get it without any problem. Therefore, you can easily get to saving Pages into Microsoft Word document. And what’s more, you can also make these protected files to convert into back compatible formats. 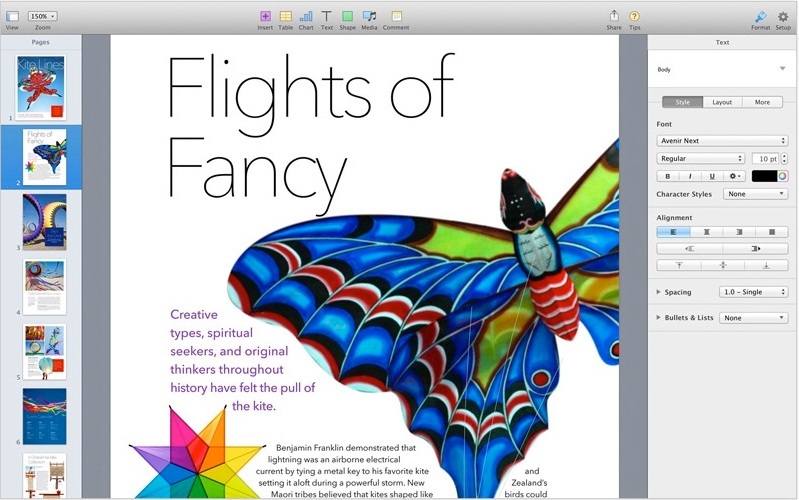 Open the document in iWork Pages. Click the Share menu and select Export. Click the Image Quality drop-down list on the PDF tab and Choose Good, Better or Best. If you would like to protect the PDF with password, then click Security Options. You can require a password for opening, printing and copying content from the document. Type a password for opening the document and a different password for printing or copying the document, depending on the options you selected. Click “Next” to continue. Choose a name and save location for the PDF, when prompted. Click “Export” to finish converting the document. You may also use Online web tools which quickly convert your Apple pages. Most notable amongst them is ZamZar conversion tool and also PDFConverter. The only issue which you may face when you get the files to online means is that you lose control on the output. The resulting output file may or may not be what you initially wanted. With Apple Pages coming into the market of text document formats, you will see that the competition only got better. And with all the competition comes quality stuff out. You can get around and pick formats which you need for your textual needs. And that’s all there’s to it when you have a reader in place for the same. Highly compatible formats make your eBook reading highly engaging and entertaining. However, if you are a publisher looking for bringing out your work in a particular format, you will have to turn to a field expert. A professional publishing company, which will help you bring the best possible output. We are pioneers of eBook technology and are associates of selected big players of the market. Drop us a mail for your publishing needs, and we’ll make it done within days.